Another year of college football is in the books, which means it’s bowl season baby! Truly one of the greatest times of the sports year, but honestly, this year feels a little underwhelming. Maybe it’s the matchups, or maybe we put too much emphasis on the College Football Playoff. Don’t worry, I’m here to spice it up. 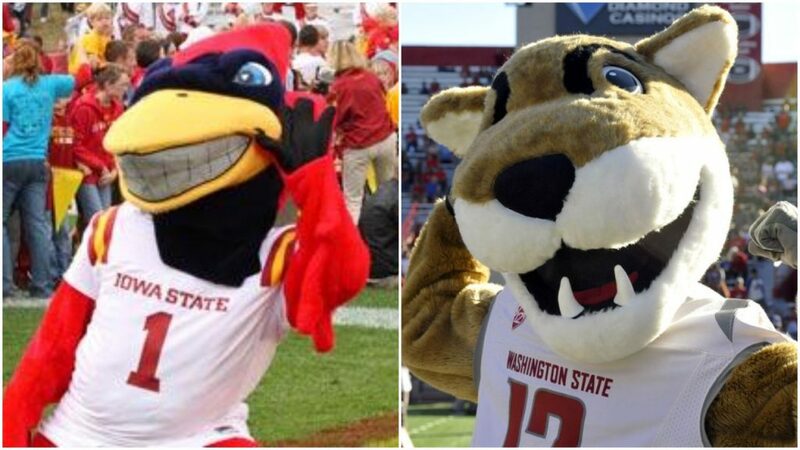 We all know the matchups, but let’s look at the games in terms of mascot matchups. 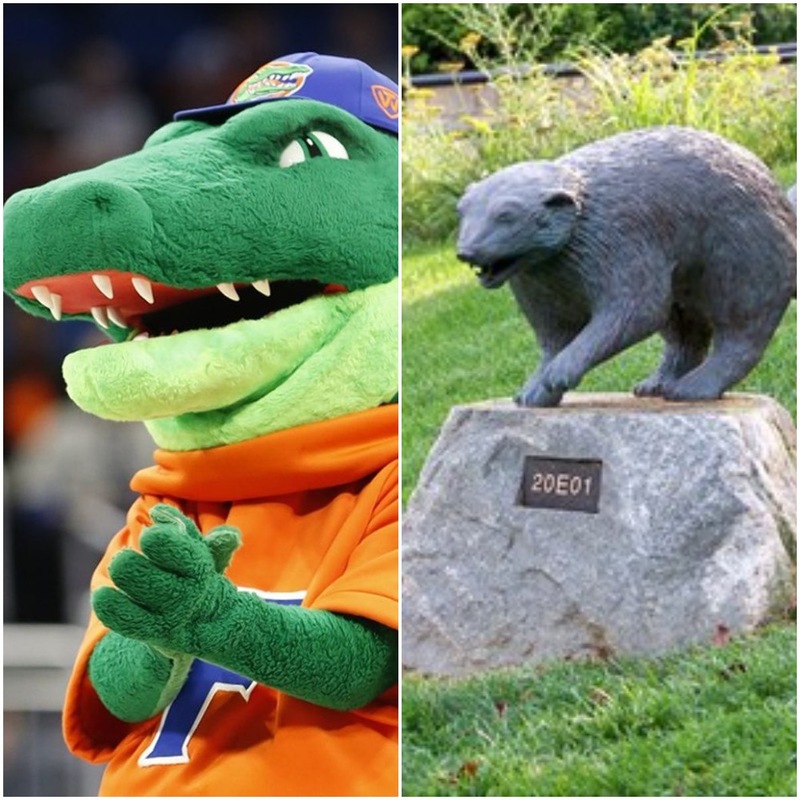 The rules of the game are simple: I’m going to look at each game like both mascots are battling to the death, Roman gladiator style. 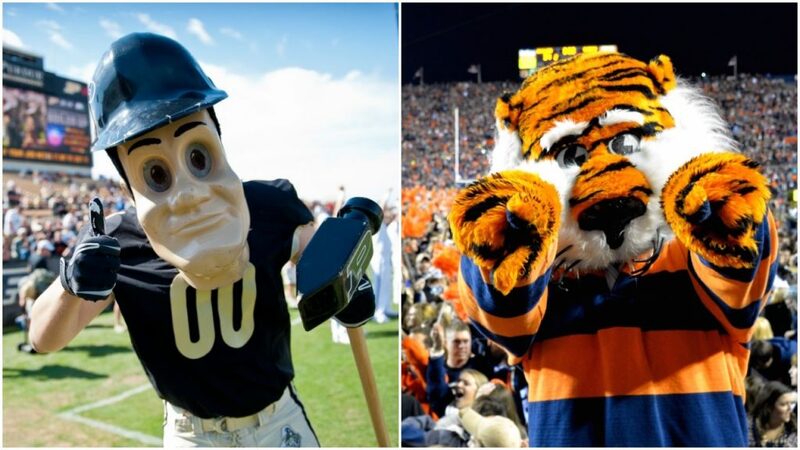 Here are my Top Ten mascot matchups(with a couple honorable mentions). 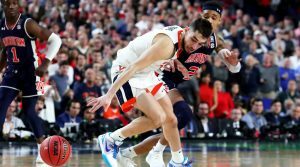 We are at number ten on the list and this might be the most unique matchup we have this season. It’s Eagle vs Eagle, brother vs brother. So which eagle is superior? 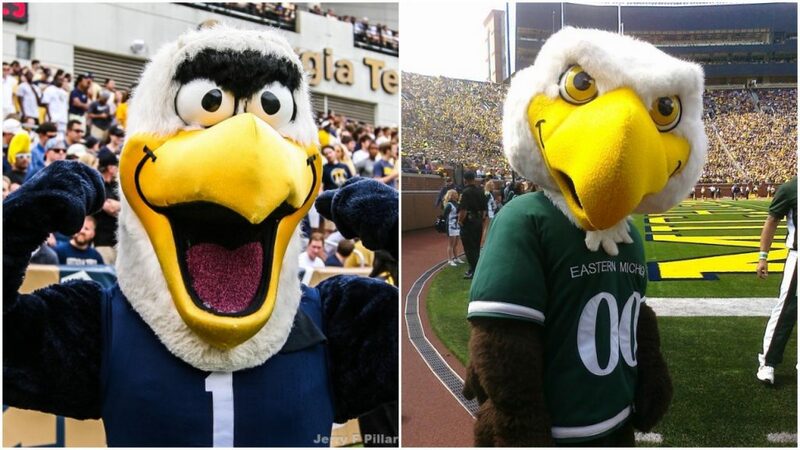 We have redneck eagles against, well… midwestern eagles? I’ve never watched Eagles fight, but I imagine it’s watching two eagles fly in a circle over and over again. 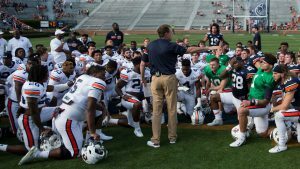 If I’ve learned one thing from living in the south, you never underestimate a redneck in a fight, give me the Georgia Southern Eagles. I don’t know if any have ever owned a bulldog, but my dad had a pug for 7 years, and to me that’s close enough. This dog didn’t do a damn thing, you’d be lucky to get him to go outside for a little while. 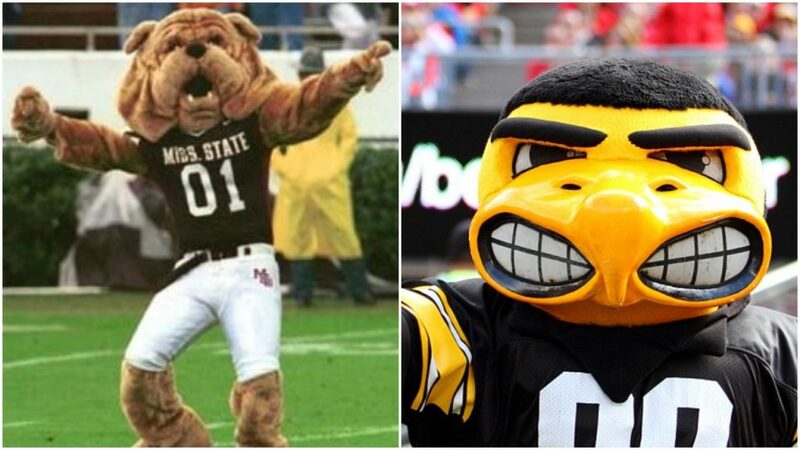 That being said, how would a bulldog stand a chance against a hawk? Hawks can lift up to 60 pounds, which seems hard to believe, but I watched YouTube videos on it so it must be true. 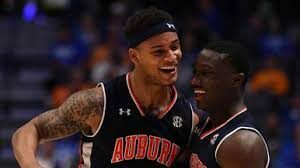 Bulldogs would have to use the buddy system so that with their combined weight, it would be really difficult for the hawks to scoop them up. Here’s something else, bulldogs aren’t very smart. You think they’d stick to the buddy system? No. They’d get a sniff of something and be off and running alone. That’s why I’m taking the Hawkeyes here, just not a fair fight. On NCAA 14, I always loved playing as West Virginia. Let me take a break from this regularly scheduled programming to bring you the following announcement…BRING BACK NCAA 14 YOU COWARDS. 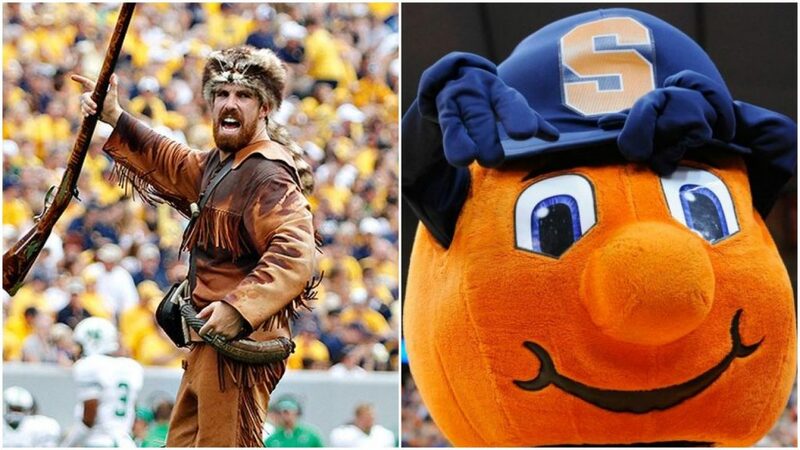 And we’re back, the real puzzling aspect with this matchup is what to do about the Syracuse mascot. They’re called the Syracuse Orange, but what is “Orange” //hits vape. To me, we can look at this in one or two ways” the Mountaineers are going to be battling literal oranges, as in the fruit, or they are going to fight a bunch of men in the Orange mascot suits, which is what I am going to believe. So now we have rednecks with old time rifles, fighting against people dressed up as oranges with eyes. As much as I want to take Syracuse, because nothing gives me more joy than imagining a stampede of oranges running up on mountaineers, I have to take West Virginia here. 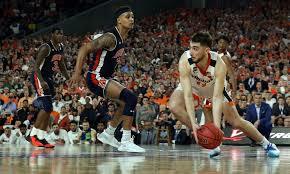 I’m sorry Syracuse fans, I’m not strong enough. My wife has always wanted for us to get a Husky. It would be great, they’re smart, loyal, and they look freaking majestic. I would love to have a bunch of huskies following me around all the time. 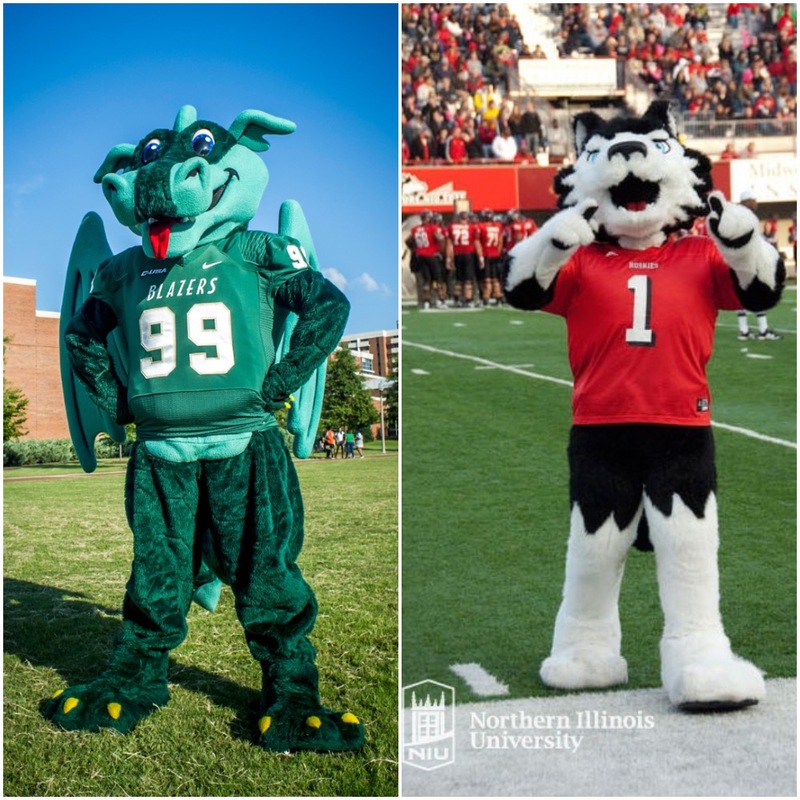 And the huskies are going to need more than their smarts to defeat a dragon, technically a blazer, but I’m going to call it a dragon. Now what do we know about dragons? They’re highly dangerous, often the villains in movies, and very powerful. But they do have weaknesses. It depends on what type of dragon we are dealing with, if it’s a dragon from Shrek, you just give it a few compliments. Dragons from The Hobbit love gold, so that seems easy enough. Unfortunately, dogs can’t speak, and have no sense of money. Give me the blazers in just not a fair fight. This isn’t the best matchup on my list, but this one is my favorite. It provides my favorite mental image of them all. Imagine, if you will, we are back at the coliseum, the Spartans come out first, dressed in their armor with their swords and shields. They’re getting themselves pumped up in whatever fashion Spartans pumped themselves up. And then, out of the other door, ducks come out. 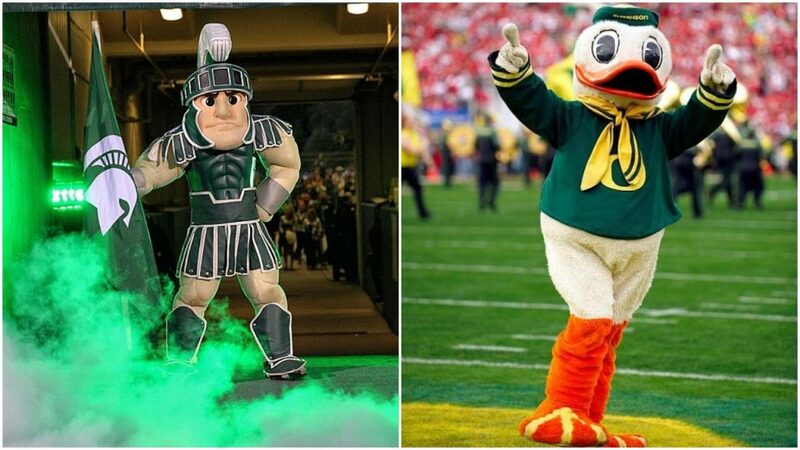 Surely those Spartans didn’t train their whole lives to take on a flock of ducks, right? But what they don’t know is that these ducks have a plan. Ducks can’t fight, but they can poop. That’s their play, flying in formation and pooping all over the Spartans until they can’t take anymore. Sure, it’s not a great plan, but it’s ducks! Give me the upset, I want the ducks. Actual underrated game in terms of football, and underrated in terms of mascots. Two different species of cats, big cats, going at it. 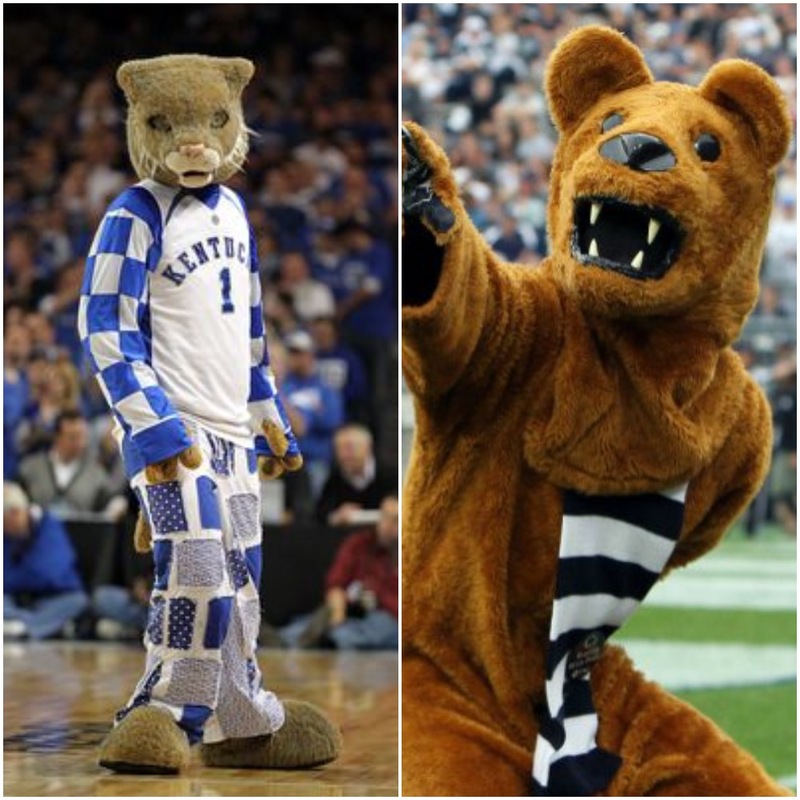 If you’re wondering what the difference is between a Wildcat and a Nittany Lion is, I did some research for you. Wildcats are a species of small cats, mostly found in Europe and Africa. Nittany Lions on the other and is, well, not even a real animal, it’s just a mascot. For these purposes, we are going to see a Nittany Lion is smaller than normal African Lions. Nittany Lions have the size advantage, but Wildcats are faster and more agile. It really depends on the style you prefer: big and strong, or agile and fast? It’s like that scene in Dark Knight when Christian Bale asks Morgan Freeman to make him a new suit because he needed to be faster. I prefer being fast, that’s why I’m going with the Wildcats in a close battle. Now that we are entering that top 4, you could talk me into rearranging numbers 2-4 in any order. It really was splitting hairs trying to decide where to rank these matchups. A wolverine, as in not Hugh Jackman, but if it was Hugh Jackman fighting a bunch of gators, you’d best believe that would be in the number 1 spot. An actual wolverine is a carnivore that resembles a small bear. An adult wolverine only weighs between 20-55 pounds. The gators would have a clear advantage in terms of size. Wolverines tend to hunt Wolves and Lynxes, and they usually hunt in packs. Gators tend to keep to themselves, unless they feel threatened, or are hungry. The wolverines would have to surprise the gators in order to have a chance of winning. 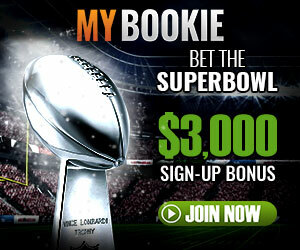 I don’t think they would have much luck, and that’s why I’m picking the Gators in a close fight. This might be one of my spiciest takes, but I didn’t like the movie The Revenant. Yeah, thought it was overrated. That being said, the bear scene was just really well done. Before that movie, I didn’t really think of bears as being overly threatening. Now, if I ever go hiking, I’m taking at least one person that I know I can outrun. Commodores are a rank in the military, specifically in the Navy. So, I could plop down someone from today’s world, but that’s not what Vanderbilt’s mascot portrays. They portray someone from a couple hundred years ago, and that’s what the bear has to fight. I’m imagining someone with a pistol and a sword going up against a bear. I feel like the commodore would get the first attack in with his pistol, and that would slow the bear down for a second, before it recovers and comes on a hate fueled rampage. The commodore can’t climb because of all the heavy equipment, and there’s no way they can outrun a bear. 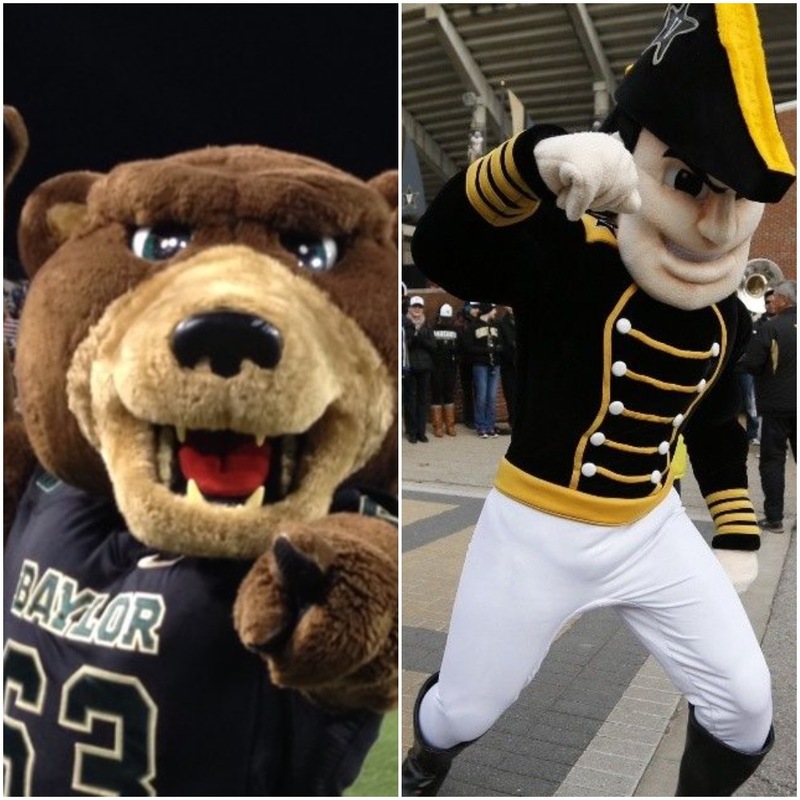 I predict the bears start slow, but come out and maul the commodores later in the fight. 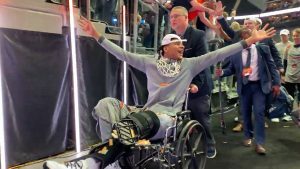 Hey, the Tigers are back! And this time they get to fight more humans. But, not just any humans, drunk, Catholic Irishmen. This battle goes in one of two ways, and there’s no in between. Scenario #1: the Irish drink as much as they can handle, gaining powers such as super strength and durability, and go toe-to-toe with the tigers. Scenario #2: the Irish drink, and fall over in an alcohol-induced nap while the tigers maul them as they sleep. There is no middle ground here. It’s just a manner of which scenario you choose to believe will happen. I’ve never personally met an Irish person before, but I have heard rumors about them, and I want to believe they are true. 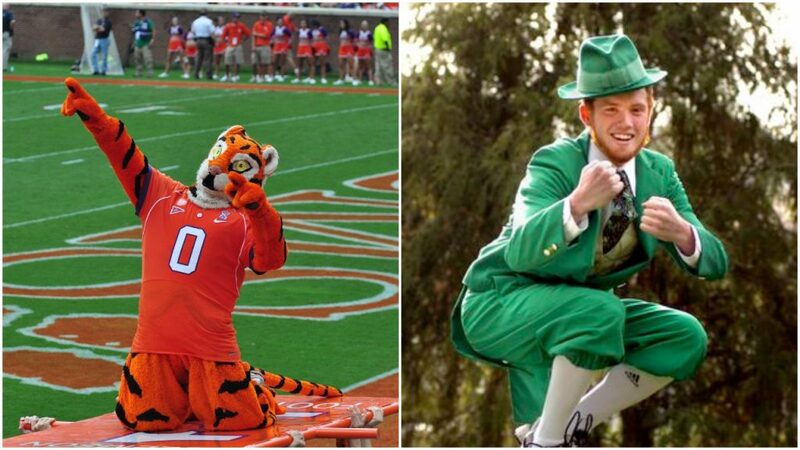 I’m picking the upset, and hoping the drunk super-powered Irish can pull the upset against the confused tigers. The number 1 spot, king of the hill, best matchup of the year is the Blue Raiders vs the Mountaineers. We have multiple factors in play here: both parties are from the South, which means both qualify into the redneck category. What do you do when two sets of rednecks are fighting? Sit back and enjoy the show. As I’m writing this, I’m only about 70% sure I know who would win this fight. I know Middle Tennessee’s mascot is a horse, so let’s imagine the Blue Raiders are from the Old West, makes it a fair fight. Mountaineers have already won one matchup today. Can they make it two? I’m giving the edge to the Mountaineers, and here’s why: mountain men know the terrain better, they grew up in the woods, and know how to use it as an advantage. I think it’s a really close fight, but the Mountaineers come out on top. 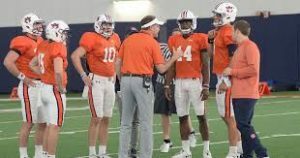 Come on, you thought we wouldn’t have something about Auburn in this? 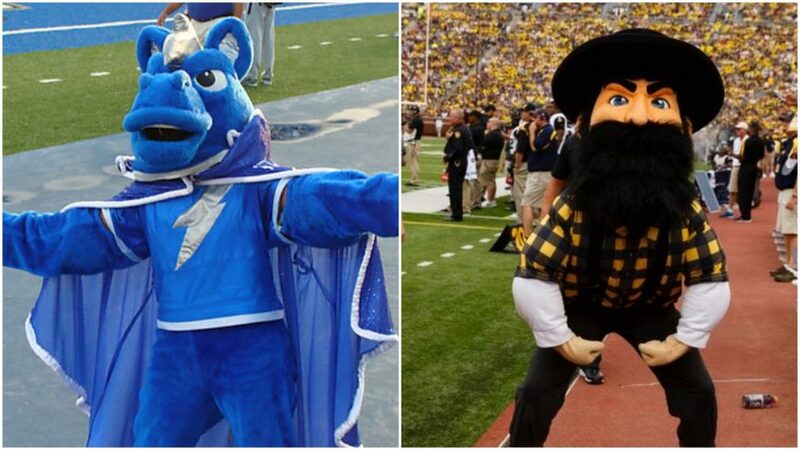 Even though I am a homer, this matchup is interesting in terms of a mascot battle. When doing research, I honestly thought Boilermakers were a type of trains. According to the Google machine, a Boilermaker is someone who works on and repairs boilers. So now we have a group of tigers (which is called an ambush or a stealth) against men who work with heavy equipment. It took me fifteen minutes to try and come up with a reason why boilermakers would win in a matchup against tigers, but I can’t, unless it was just an army of buff sweaty men against a few tigers. However, in a surprising move, I’m taking the Tigers. You might be asking yourself why I think Cougars stand a chance against Mother Nature. And that’s a fair point, on the surface, cougars should not be able to even damage a cyclone. But these aren’t normal cougars, they are cougars that are trained by Mike Leach himself. If anyone can figure out how to defeat an act of nature, it’s that man. I think the key to defeating a cyclone is misdirection, you can’t stay in the same place. Eventually, the cyclone will just get tired and give up chasing you, like your dad in the family backyard football game. All that being said, I’m taking the upset. Go Cougs! 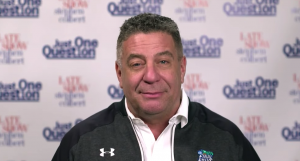 ← Interesting Tidbits on Kenny Dillingham, Allen Greene, and March Madness?